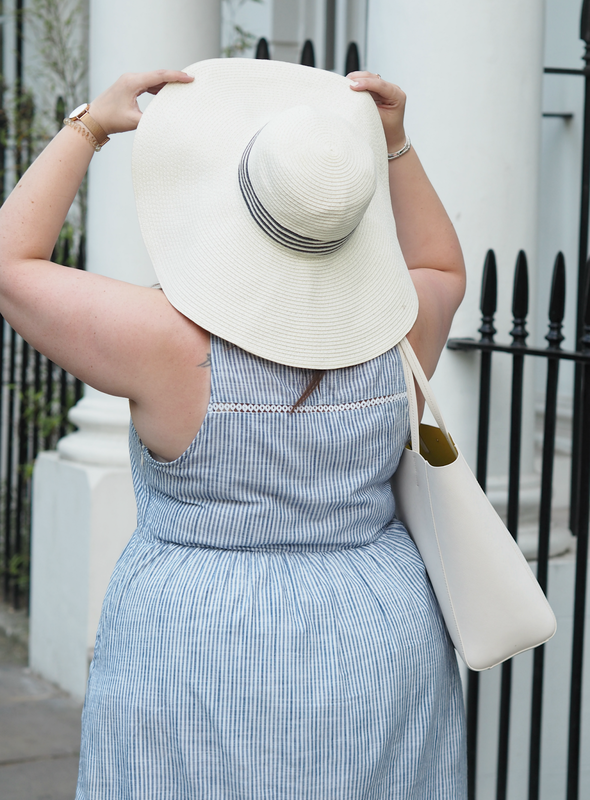 When looking at this outfit I can’t start anywhere else than with one of my fave bags; I picked this white tote up in NYC from the Kate Spade store on 5th Avenue, and I instantly fell in love. 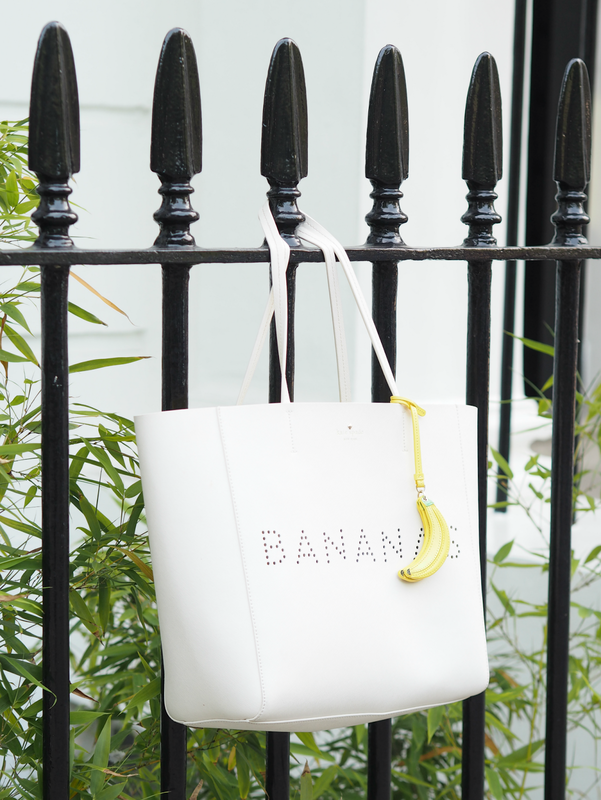 I adore the fact that from the outside it just looks like a plain white tote, but when you look a little closer the bold yellow interior and subtle banana details (including the cutest bag charm ever) make quite the statement. 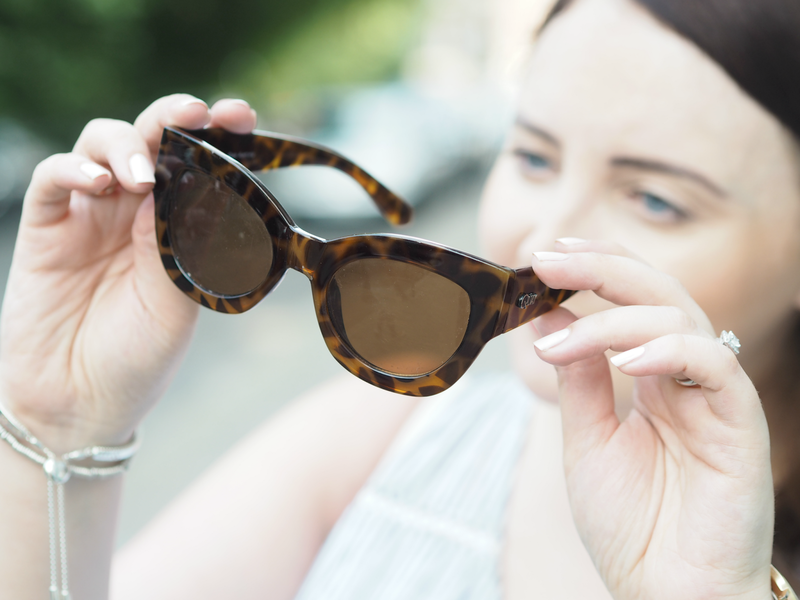 It’s big enough to keep all my essentials in (which on a day like this included bottles of water, sun cream, my hat, camera and a makeup bag full of bits and pieces for when I sweated it all off!) 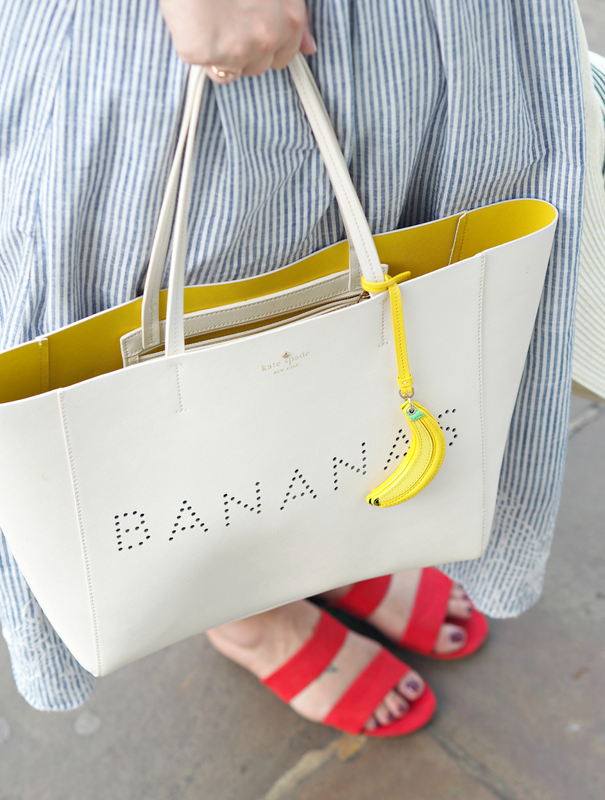 but so comfy to carry: it doesn’t feel like I’m lugging around a huge bag, but instead slips easily under my arm. 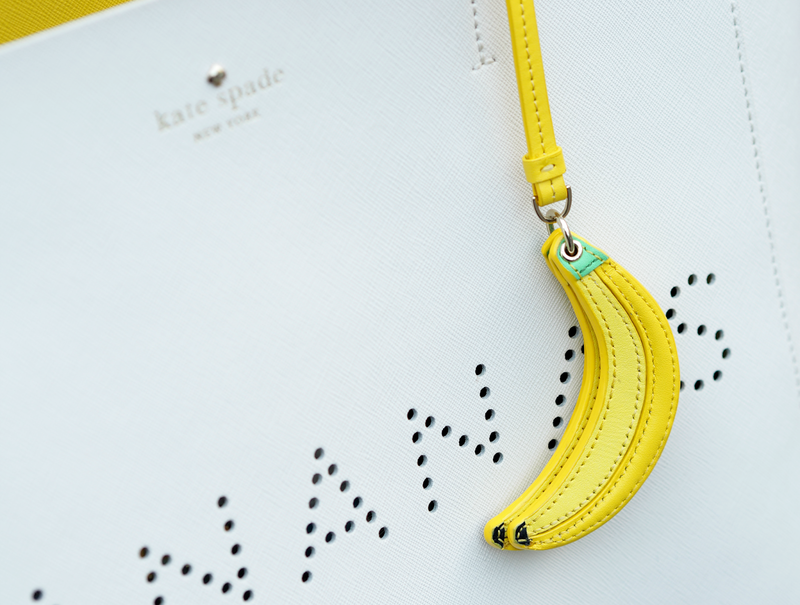 Although this is last year’s style, Kate Spade often re-invent their classic shapes for every season – and you can always pick up at bargain at their Bicester Village store. I’ve used this relentlessly and it still looks as good as new. 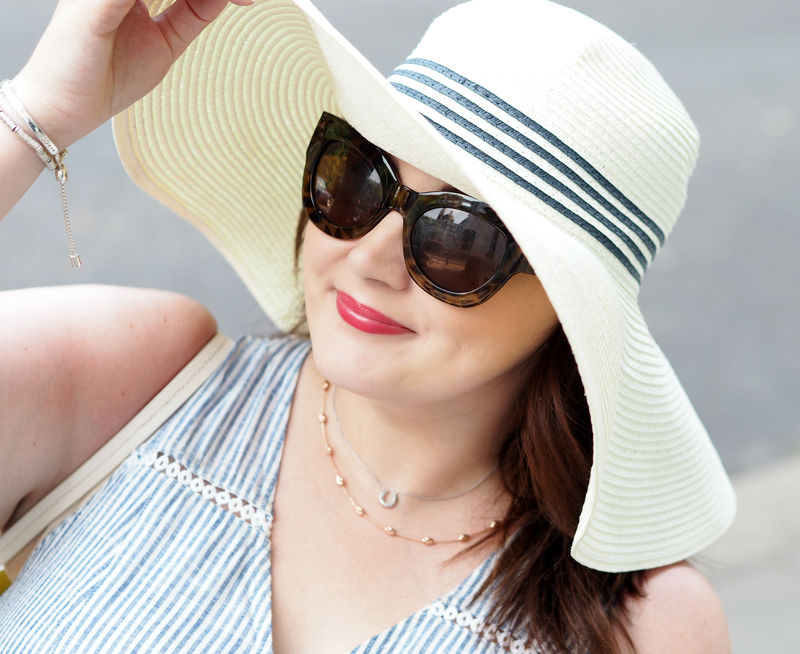 Nothing makes me feel like a riveria princess more than an oversized hat and a matching pair of sunglasses; there’s something about this combination that never goes out of style, and always goes with everything. 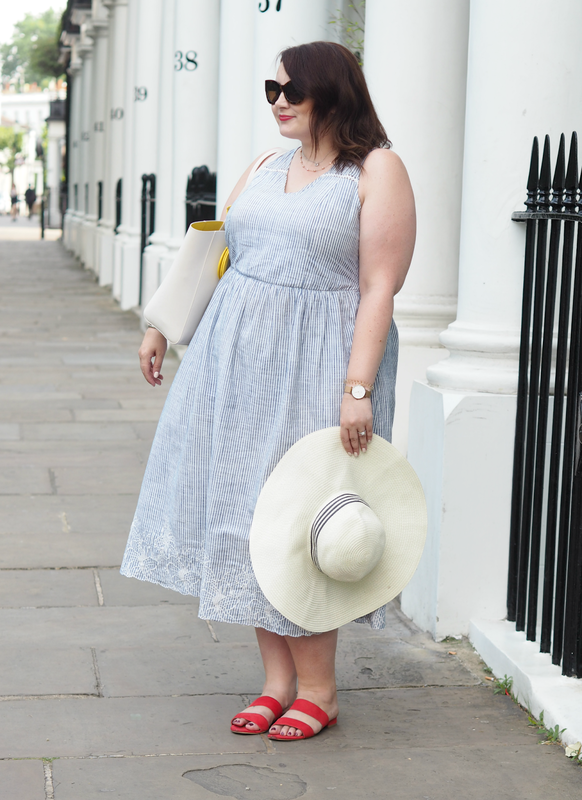 I picked up this straw number in New Look last year the day before we went on holiday (an impulse purchase if you will) and I was so thankful for it in the heat, but sitting in direct sunlight in the middle of the day high up in the sky while watching the tennis took that gratitude to a whole other level – it was the only shade and protection on offer, plus it kept my sweaty brow covered! 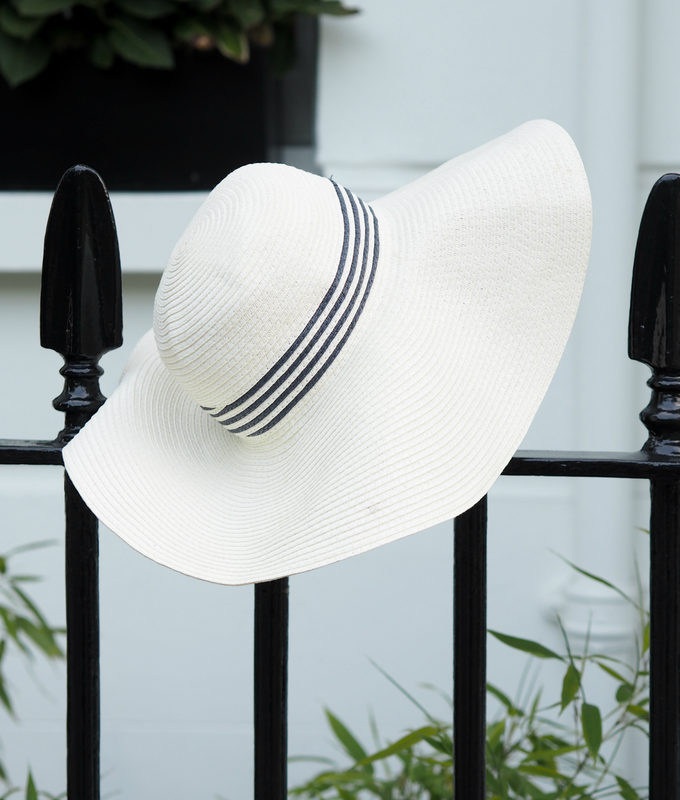 Everyone needs a big floppy hat that will instantly add a touch of glamour (as well as practicality,) plus there’s bonus points on offer if you can squish it up in your bag when you need to hop back on the tube. 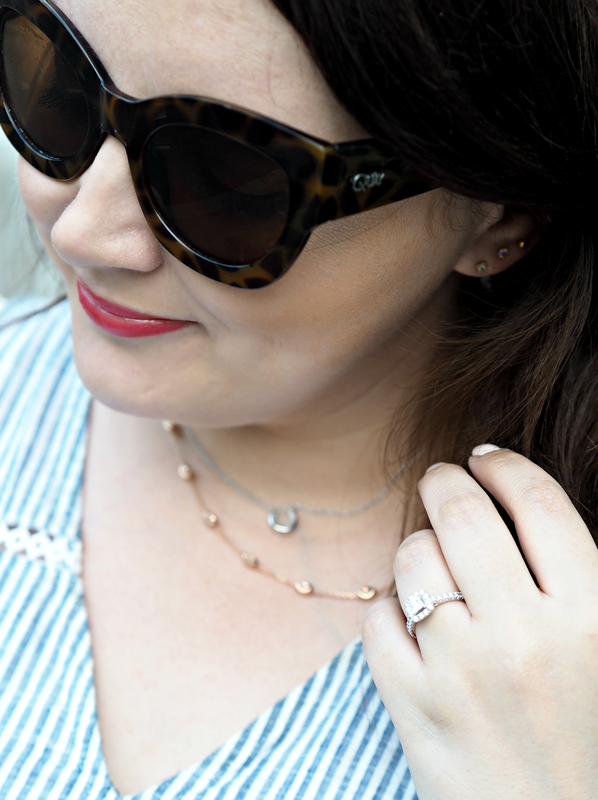 It was on this day that we shot the pictures for my collaboration with Links Of London (see the post here,) so I was also adorning some of the most beautiful accessories I’ve ever had the pleasure of wearing. 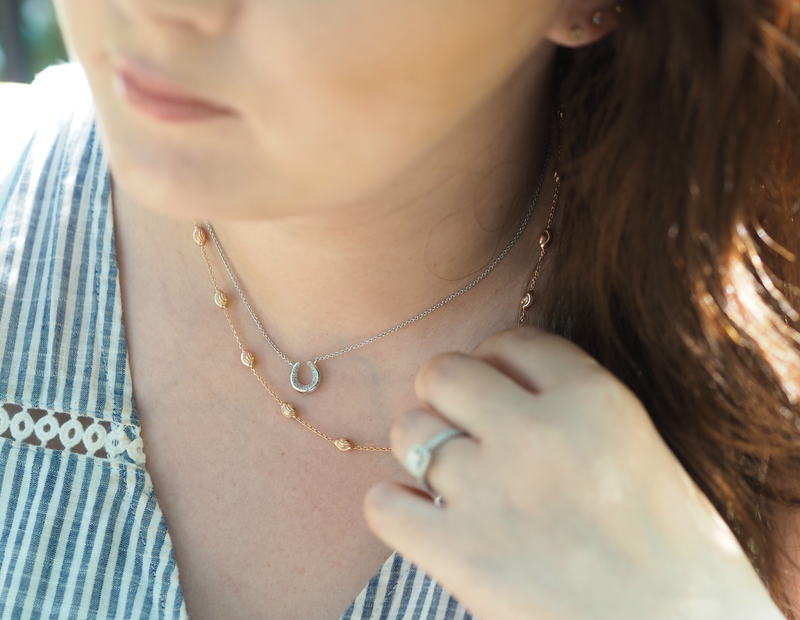 The statement horseshoe shaped necklace and ring are still absolute faves, plus the delicate nature of the bracelets and rose gold necklace kept it elegant and classic. Paired with my fave rose gold Daniel Wellington watch, it’s all I needed. 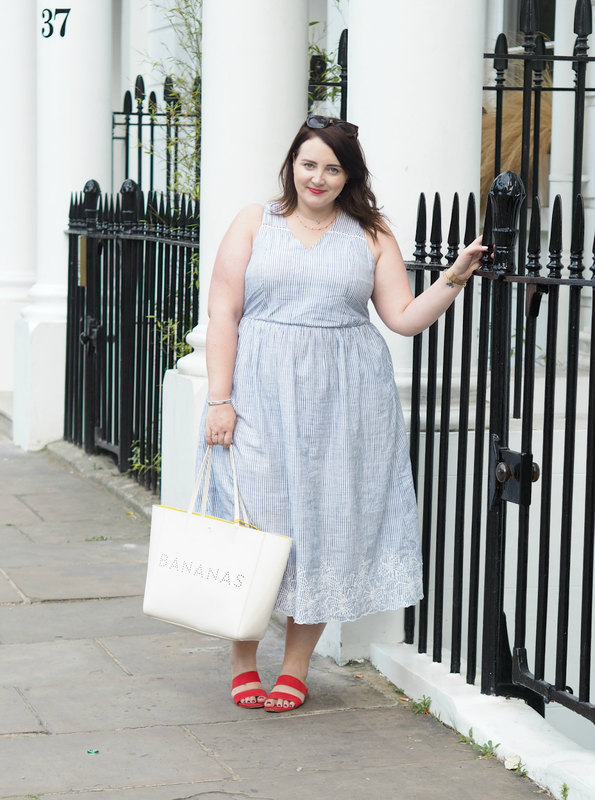 What is it about a pale blue and white pinstripe cotton dress that’s just so cute? 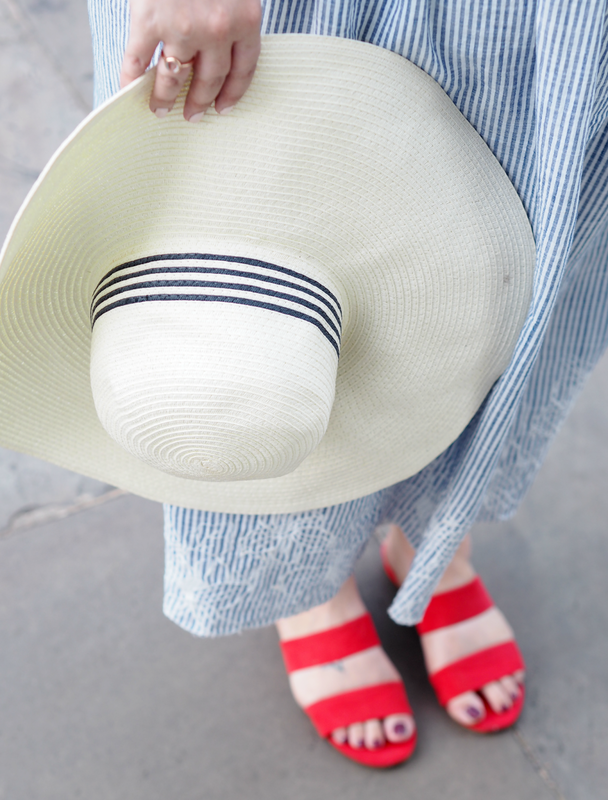 Maybe it reminds me of being a kid or 1920’s summer fashions, but it seems to instantly inject a touch of effortless style while keeping me super cool. 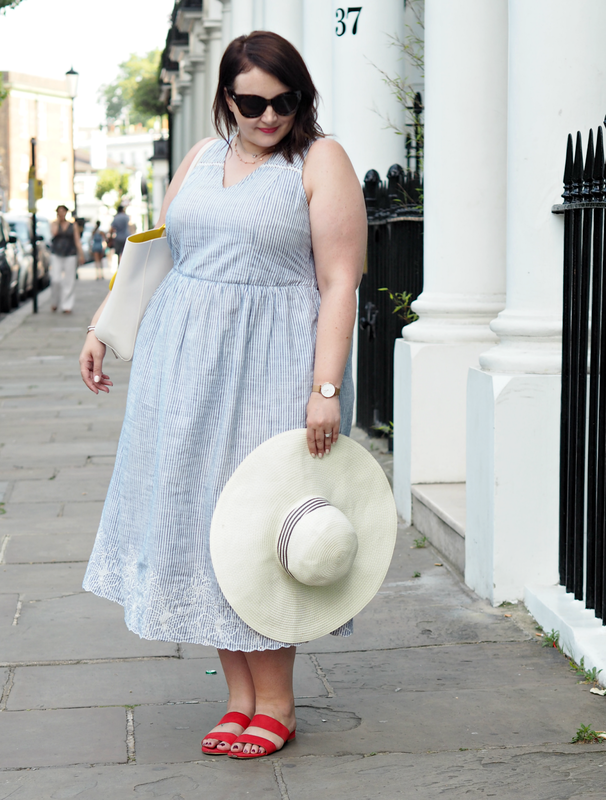 When the sun is shining down I can’t be dealing with sweaty fabrics or anything too fitted, so this Marks & Spencer number is just the ticket; since buying it at the beginning of the spring I’ve got so much wear out of it – paired with a trench and a pair of pumps it doesn’t look too summery, while a straw hat and a slip on sandal instantly ensures its tennis appropriate. 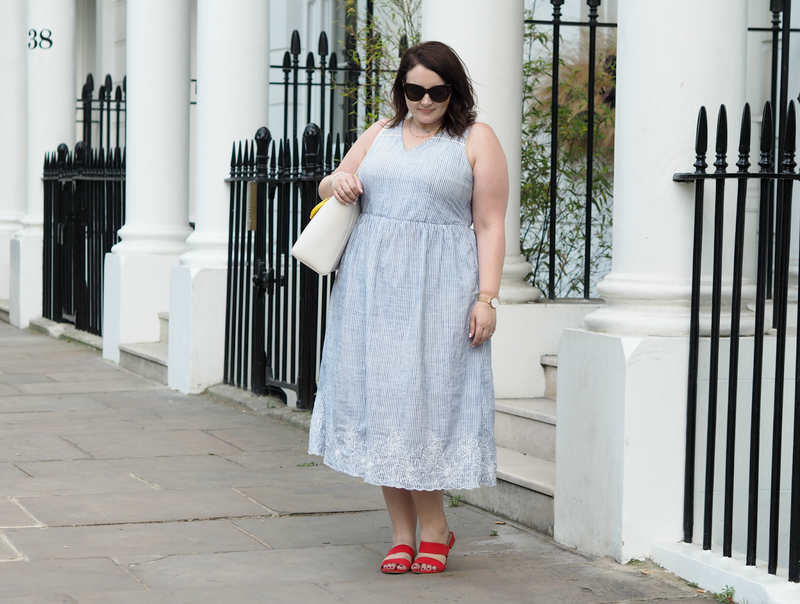 I really love the v-neck shape and the floral embroidery around the hem, keeping it modern and fresh rather than feeling frumpy. These red slip-ons from River Island are also an effortless way to inject some colour into your look. 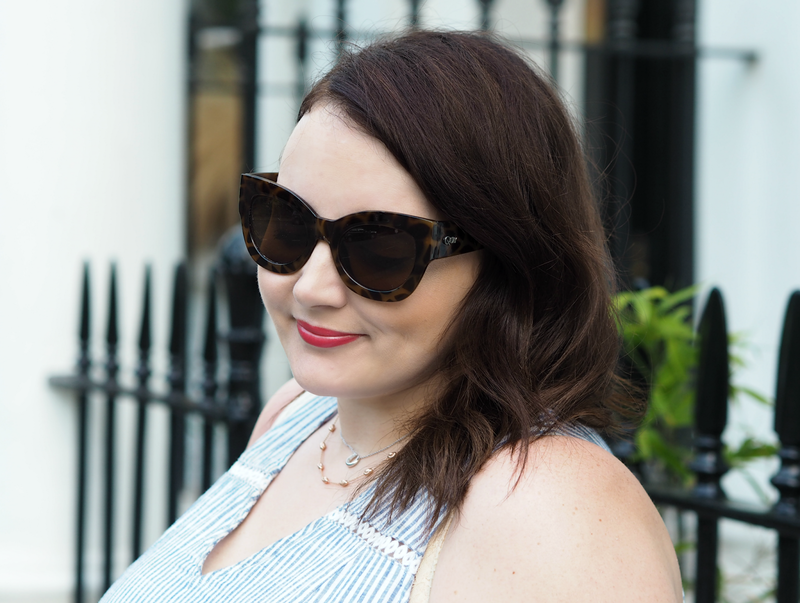 Comfy, practical and affordable, red is a great shade to wear with nautical colours too – just keep it simple or you’ll look like a sailor that’s lost her way! 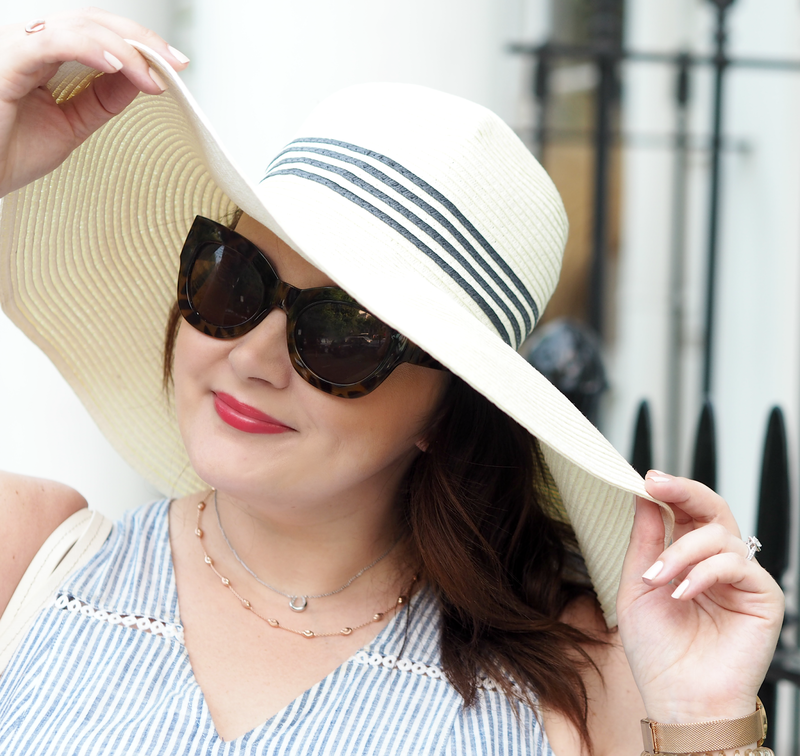 Excuse my sweaty hat hair – it was 34 degrees that day! 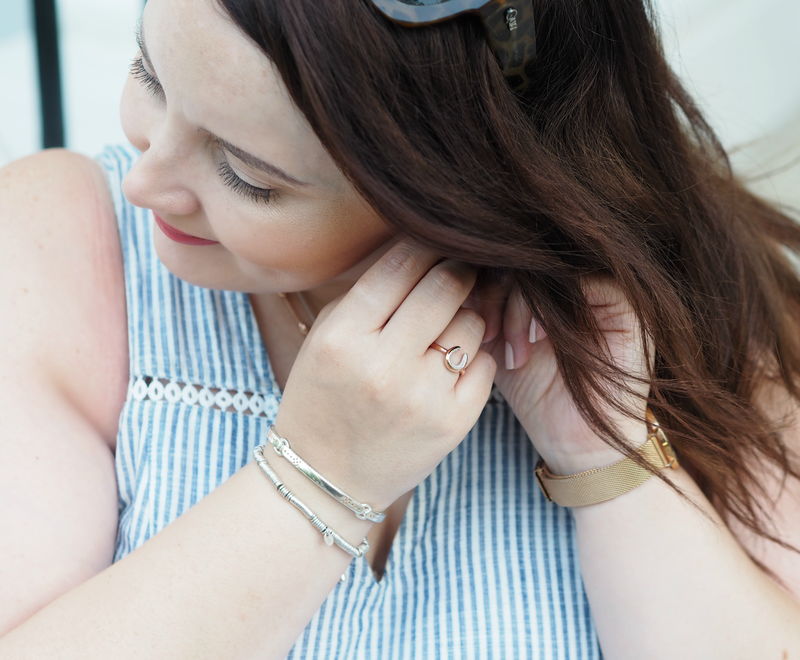 But the good news is hurrah, I’ve got my engagement ring back! Thanks Jane! 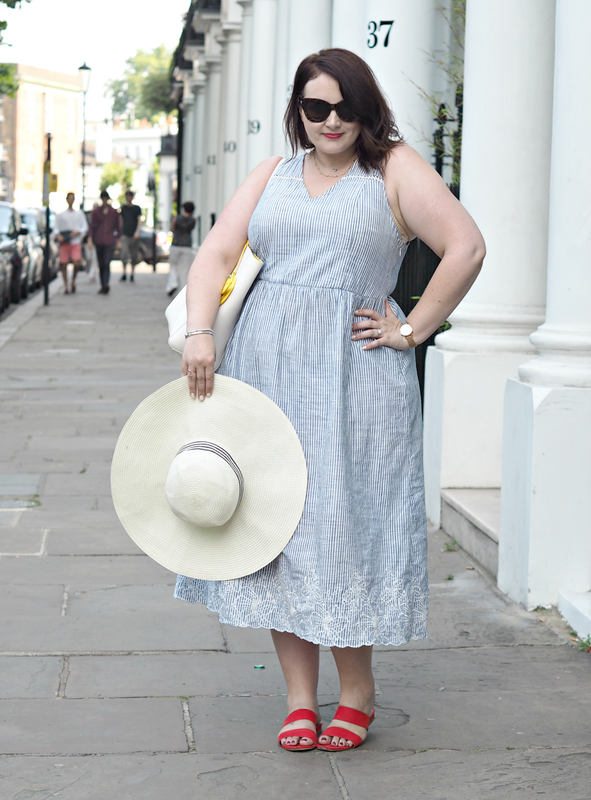 It was fab but SO hot!